In childhood my aunt Marianne Eriksson - Älvsbyn learned me how to pray to God. When I was a teenager a women sold Hare Krishna litterature to me and I became a distance student of Hare Krishna for 10 years. In 1988 I paid a visit to my brother Lars who at that time was Colonel priest for Summit Lighthouse in Sweden and then it was the first time I came across Baird T. Spaldings books Life and Teaching of the Masters of the Far East and I understood only one-third of the teaching. 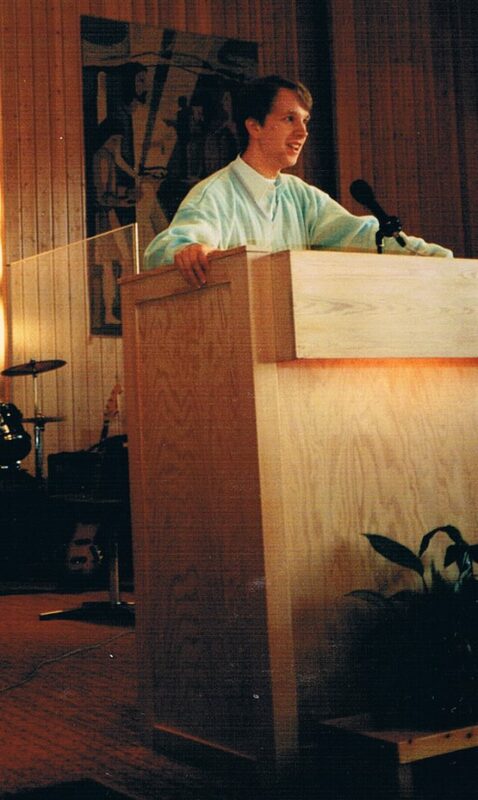 1989 I was saved and baptisted in Pingstkyrkan together with singer Bengt Andersson. Bernth Öberg was the one who baptisted us. It was in Pingstkyrkan I first heard the rumor that I was homosexual which is untrue, as I have always been straight and hetero.. and I love nice and friendly girls. In 1993 I left Pingstkyrkan and enrolled the new church Nya Korskyrkan. In 1996 I had the first symptoms of split personaleties, but I could study in school without a problem. 1997 I started my first website at algonet under the name Hermes Atar Trismegistus. 1998 I left Nya Korskyrkan and begun to study Life and Teaching of the Masters of the Far East by Baird T. Spalding and I understood only half of the teaching. and I also read the New Testamentet and write on my website. 2000 I was no longer able to handle a work and was diagnosed Paranoid Schizophrenic. 2001-2013 I visit prayermeetings on Tuesday in Nya Korskyrkan or in Pingstkyrkan in the evening when I was awake. 2012 in Nya Korskyrkan I heard the rumor that I was homosexual which is untrue, as I have always been straight and hetero.. and I love nice and friendly girls. Each book that I have counted has wrong and bursts but also truth and advantages. Sexual Orientation: Despite the unjust homosexual rumor. I have always been straight and hetero.. and I love nice and friendly girls. The Future: My medication makes me so tired that I am unable to work. I am living on pension for the rest of my life. I sleep much, but I can be on the Internet and be with friends in the evening and night.